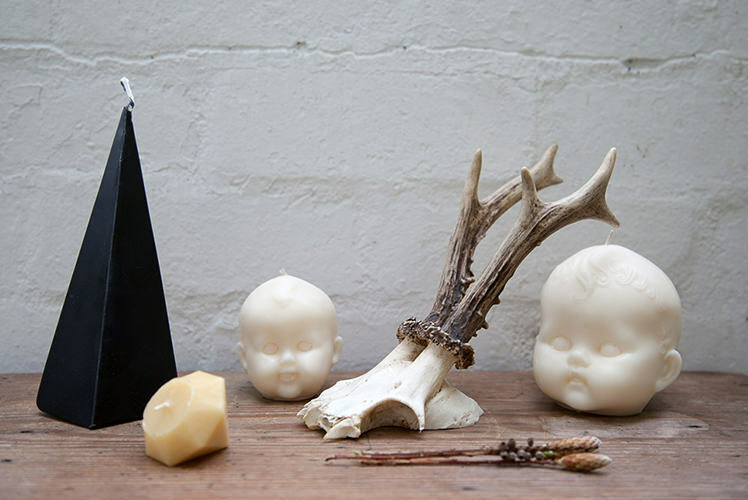 FK chats to Waan of fragrant candle & soap label You, Me & Bones.. with just the right mix of quirky, creepy and classic. Head to our Melbourne markets this weekend to find this eclectic label! Can you tell us about your quirky label and where the name comes from? 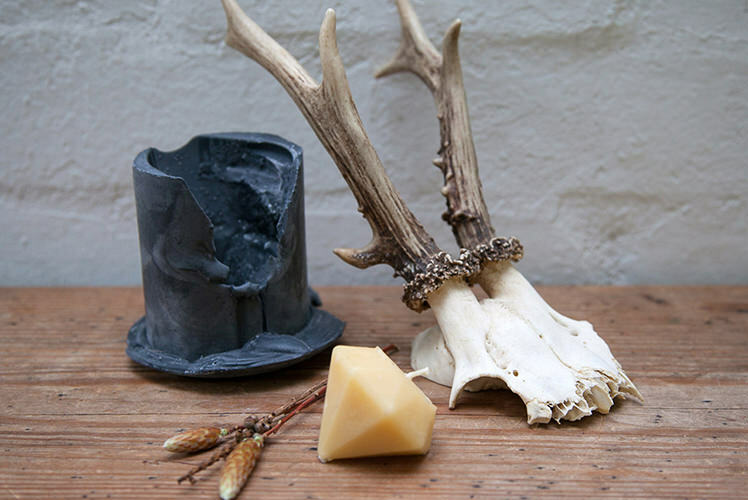 All You, Me & Bones collection of hand poured awesomeness represent my personality: quirky and borderline creepy; however, I can be ‘normal’ and presentable as well! 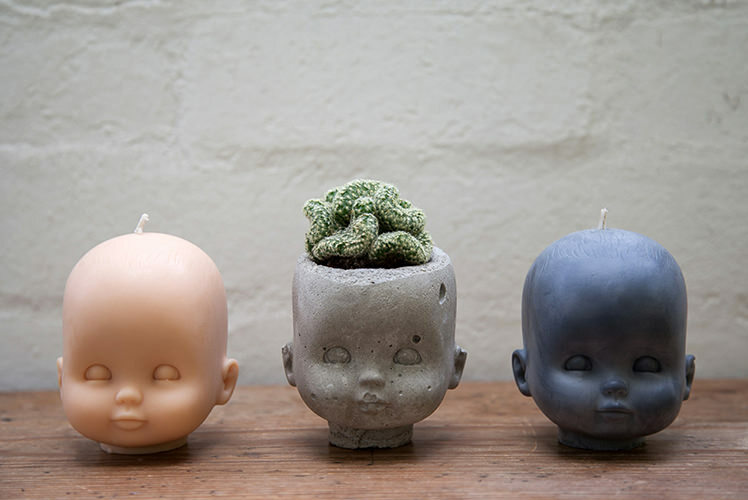 Basically, the collection ranges from classic soaps and jar candles to the creepy-or-cute Doll Head candles. I wanted the name to involve my super handsome cat Bones (so handsome, he could be a part-time model) and I came up with so many names, but You, Me & Bones won. I don’t have a favourite between my two boys (Bones and my partner Jay – the “You” in You, Me & Bones) but I love Bones the most. WELL, I actually have a degree in Business Information Systems, I initially wanted to be a Business Analyst, but instead chose to go down the path of a Front End Developer, which is what I’m currently doing part time along with You, Me & Bones. I used to paint and draw here and there, but nothing majorly creative. It wasn’t until recently that I realised that I’ve never had any New Year’s resolution and I really needed a hobby (seriously, sleeping, reading and eating bacon every weekend gets a bit tiring…), so I decided that for 2013, I would be making and giving my friends some handmade awesomeness for their birthdays. I discovered the extent of my creativity rather late. 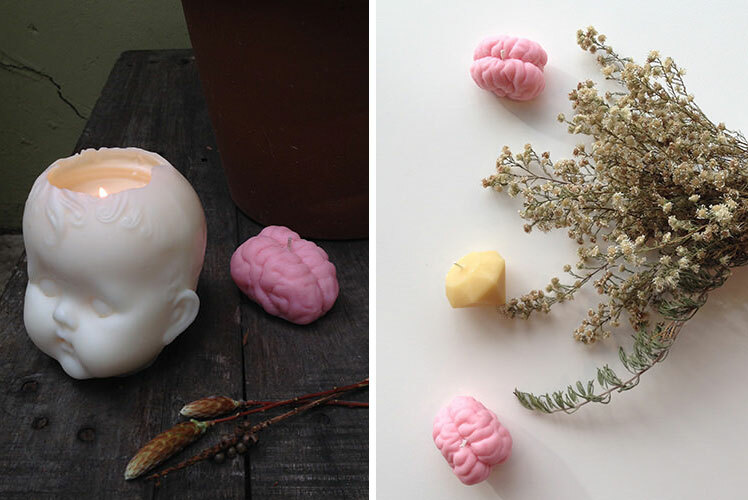 Coming up with new ideas and deciding what to add to my little weird collection to keep it fresh! I have no self-control when it comes to scents; I need to sniff them all and I’m always bringing in new scents and mixing them together to create my own blend. Our list of scents are getting out of control! Another favourite part is testing; after making a new candle I cannot wait to take it out of the mould and give it a test run. I’m a big nerd when it comes to things I’m passionate about. 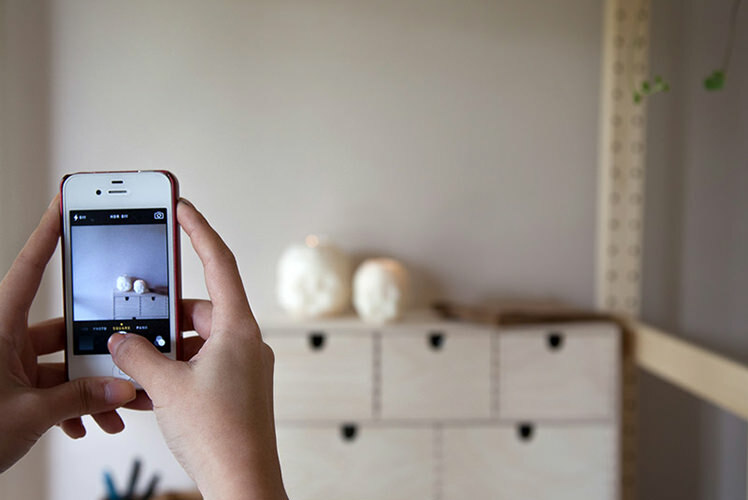 I’m forever scrolling through the “Explore” page on Instagram to see how people style their homes so I can get a good idea of how to style my candles for a shoot. I’m always in and out of the “candle room” and the kitchen, but I’ll be moving all my work in the room soon. It’s just that much easier to work in the kitchen, with the stove and the sink so close together; plus I like watching the same movies over and over again while I work (I’ve seriously seen Pitch Perfect 6 times). I’d love to say the room is neat though, but it’s more like an organised mess. At least I know where everything is! 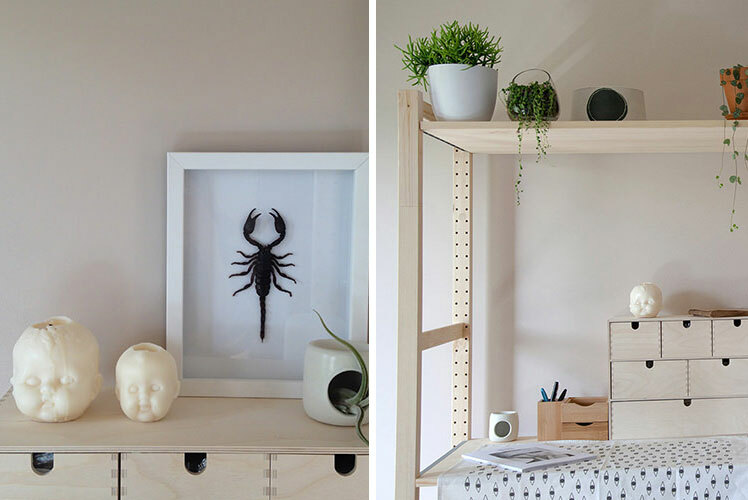 I go through phases and at the moment I’m loving simple industrial furniture: my candle shelf/workstation is pine with raw finish and my waxes live in a big vintage trunk. Exposure was definitely the main challenge, but now I love seeing how my brand spreads through word of mouth, positive feedback and happy customers. It’s also really nice seeing my followers coming to my markets, I really do appreciate all the support. Starting up is hard, but it’s definitely not boring! Somethings I’ve learnt along the way are to remember to be inspired and original, plus practice makes perfect! What new projects are you working on and where would you like to see You, Me & Bones in the future? I’m planning so many things! But right now I’m trying to organise our scents and offer unique ones to my customers. I’m in the process of getting more unique jars in and there will also be another new range of candles. My ultimate dream of course is to have You, Me & Bones full time and offering our candles to all the beautiful people overseas! Definitely doing more markets (so much fun) and maybe have a little shop somewhere in the North side.